Many condo owners at The Fitz in Rockville, MD are choosing to rent out their luxury condo units rather than selling them, hoping that the prices will go up. However, in the short term, renting may not be providing those owners with the value they need, and doing so may not be smart from a tax or financial standpoint. Renting is not a new concept for this building or the community; prior to being condo units, The Fitz was a luxury apartment rental community with monthly rents ranging from $1,309 for a 682 square foot one-bedroom unit to more than $2,100 for a 1,309 square foot two-bedroom plus loft unit. Ideally situated just one block from Rockville Town Center and an easy five-minute walk from the Rockville Metro red line which takes riders to downtown Washington, D.C. in just 25 minutes, The Fitz is close enough to the city to be convenient but still retains a small community feel. The large fountain and gardens in the courtyard area at The Fitz are a welcome retreat for residents at the end of a long day or week. 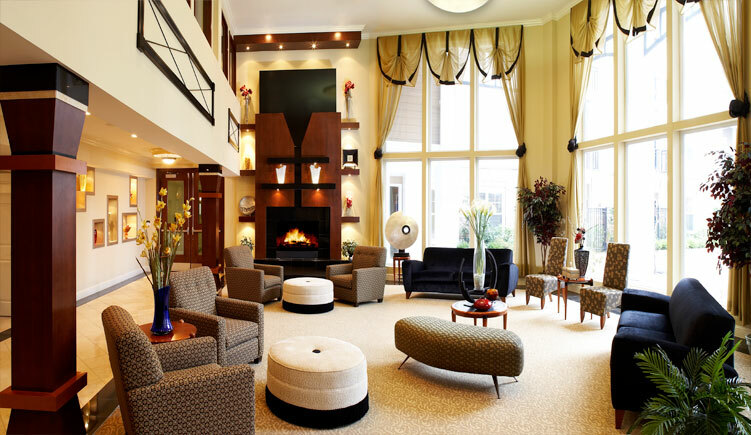 The community consists of 221 luxury condo units with features including gas fireplaces with custom mantels, crown molding, contoured soaking tubs, 20-foot ceilings, granite-style counters, and a whole host of additional luxury living features. The complex also boasts an attached gated parking garage with 380 deeded parking spaces and 100 privately-owned storage units. When it comes to amenities, this community has it all: a resort-style pool, gym-quality fitness center, a clubhouse, theater room and business center; there is even an enclosed dog run area making this an ideal choice for dog lovers. While rental prices in the Rockville area are now high, almost double the national average, there is no guarantee prices will stay at those levels. Owners of condo units at The Fitz who choose to rent out their properties are banking on being able to pay their mortgages with the rental income and are hoping that prices for the housing market will rise so that when they do sell their units, they will be able to realize gains. However, that may be a risky proposition given economic uncertainty. And, if those condo owners did not consult their tax advisors prior to making the decision to lease their units, they may also face some unwelcome tax consequences and "owner's remorse" later. There are tax benefits for selling a personal residence that are not available when the property has been converted to long-term rental property, including the home sale exclusion. What direction the real estate rental and sales markets in Rockville will ultimately take is anyone's guess, but one thing is sure: residents of The Fitz are in an unbeatable location with prime amenities and features anyone would love.